It is one of the rarest conditions in the world, affecting just one in a billion people. 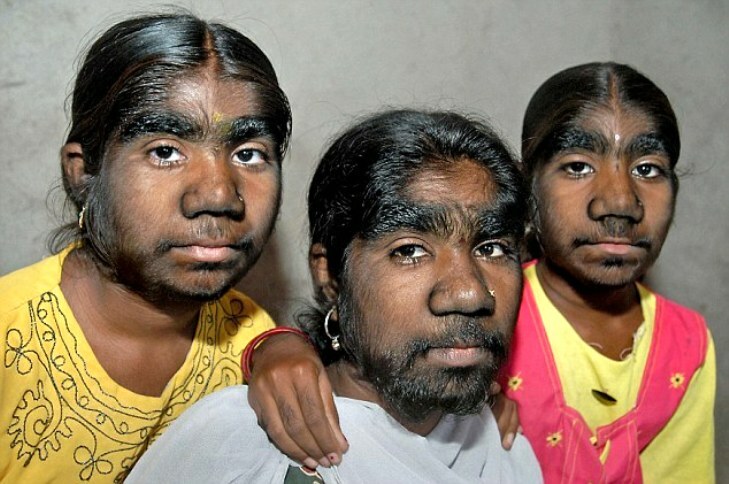 However, in an incredible quirk of fate, three sisters in a single family have all been affected by a condition known as werewolf syndrome: where they are covered from head to foot in thick hair. 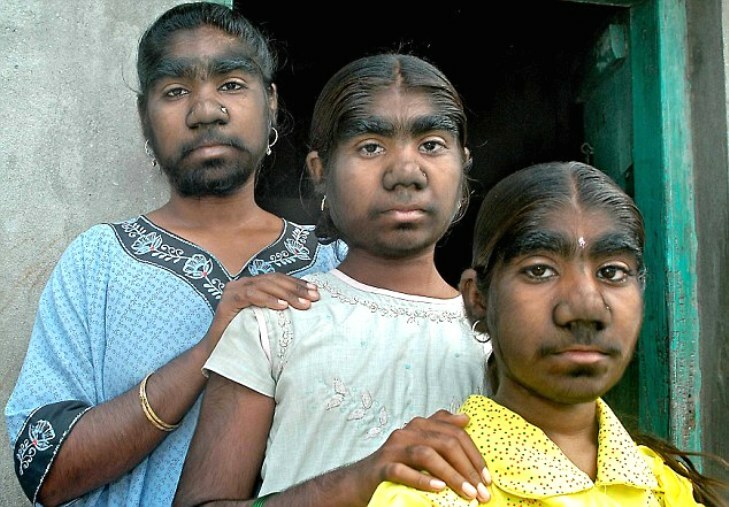 The Sangli sisters (Savita, 23, Monisha, 18, and 16-year-old Savitri) who live in a small village near Pune, central India, inherited the Hypertrichosis Universalis diagnosis. 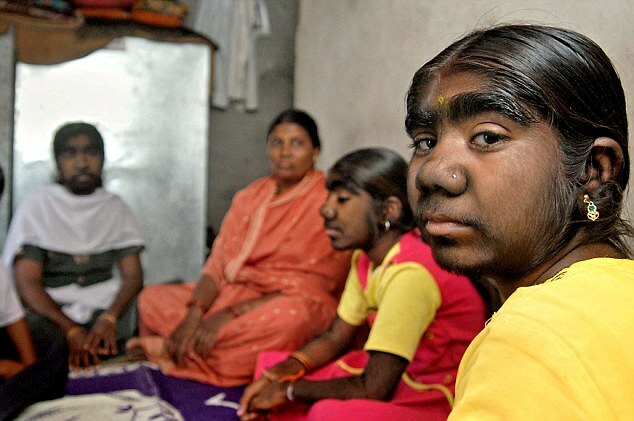 The girl's mother, Anita Sambhaji Raut, has six daughters with three having werewolf syndrome; the other three appear unaffected. The condition was passed down by the girls' father, who Anita was forced to marry. Because theirs was an arranged marriage, she did not lay eyes on him until the wedding day, so she had no idea he was suffering from the condition. 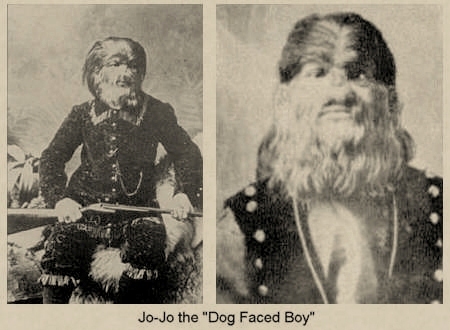 Who was Jo-Jo the "Dog Faced Boy?" Fedor Jeftichew (Russian: Фёдор Евтищев, Fyodor Yevtishchev, 1868 - January 31, 1904), better known as Jo-Jo the Dog-Faced Boy (later Jo-Jo the Dog-Faced Man), was a Russian sideshow performer who was brought to the United States of America when he was sixteen by P.T. 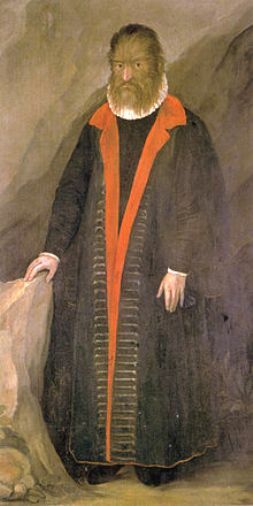 Barnum. He was probably the most famous person of all time who had the Hypertrichosis disorder. 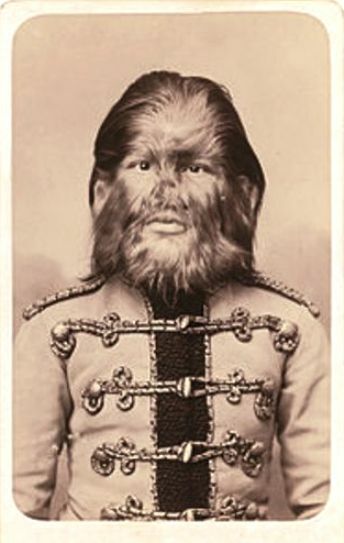 Fedor Jeftichew performed in the circus, showing his "Werewolf Syndrome" and touring the United States and Europe until his death in 1904 of pneumonia. 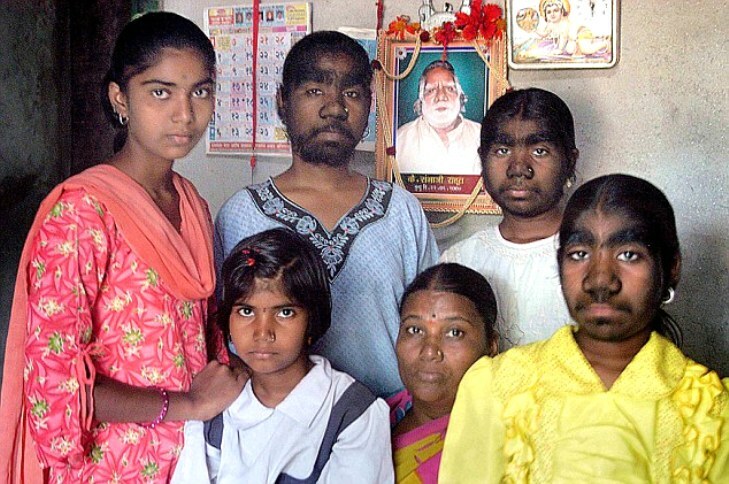 Congenital Hypertrichosis Universalis is a rare familial disorder felt to be inherited as an autosomal dominant trait. It causes males to exhibit excessive facial and upper body hair, whereas women exhibit less severe asymmetrical hair distribution. The palms, soles, and mucous membranes are not affected. Congenital forms of hypertrichosis are caused by genetic mutations, and are extremely rare, unlike acquired forms. Congenital hypertrichosis is always present at birth. 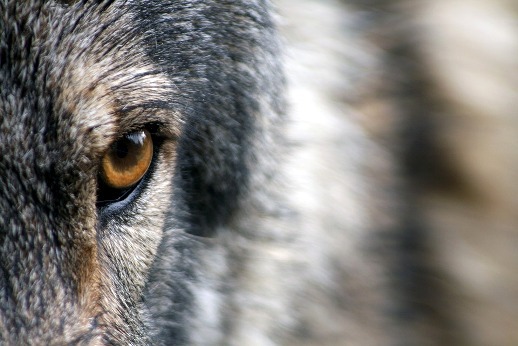 There is no cure for any congenital forms of hypertrichosis. However, before you start to worry, fewer than one hundred cases of congenital generalized hypertrichosis have ever been documented in scientific publications and by the media.